We know you have a lot of options for foundation repair and concrete contractors. That said, though, we’re also confident that A-1 Concrete Leveling and Foundation Repair is the company for you. From our extensive services to our reasonable prices, we know our concrete contractors will be able to deliver you an outstanding service at an outstanding price. Watch these videos and read below to learn five aspects that set our foundation repair company apart from the rest, and then contact us today to get started with your project. As we said above, our company started all the way back in 1982 — and we just keep getting better. With more than 30 years working in this industry, we’ve learned a thing or two about foundation repair, concrete floor leveling, driveway repair, and more. We’ve streamlined our processes, perfected our scheduling and routines, and leveled more than 1 million concrete slabs. 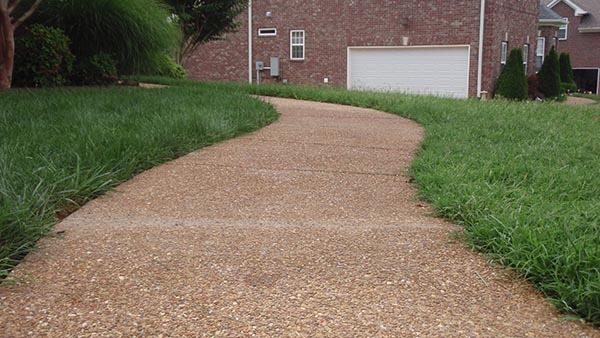 As concrete contractors in the Nashville area with so much experience, we’re ready to tackle any foundational, structural, or concrete problem your home could face. We know you want to support local, and that’s just what our foundation repair company is. The owner and manager, Josh Reinoehl, was born in Nashville and first started a summer job with us when he was 15 — it doesn’t get more local than that. Because we have local pride in Nashville and the surrounding areas — and because we know the area well — we’re proud to have a large service area. 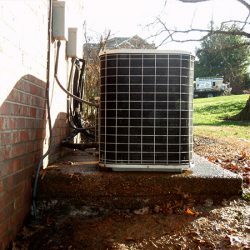 We work as far north as Ashland City, Goodlettsville, and Hendersonville, as far east as Murfreesboro, as far south as Brentwood, Franklin, and Columbia, and as far west as Burns. These areas surrounding Nashville, of course, aren’t our absolute limits. If you’re in the surrounding area and need a concrete contractor, give us a call — we’ve probably even done foundation repair in your town before. When you notice foundation problems or cracked concrete around your property and start searching for “foundation repair near me,” you hope you find a foundation repair company you can trust. By checking reviews and testimonials, you can ensure your success! Here at A-1 Concrete Leveling and Foundation Repair, it’s our previous clients raving about our services that opens the door to more clients. 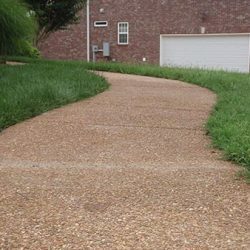 We take pride in our concrete contractors, our services, and our professionalism — and we think our testimonials show how seriously we take our reputation. As a homeowner, there are so many expenses coming your way each month and each year. Foundation repair, driveway repair, leveling concrete, and more, though, don’t have to be as expensive as you initially think. This is because of our patented process and technology. It all started in that barn in 1982, and it has just improved since then. 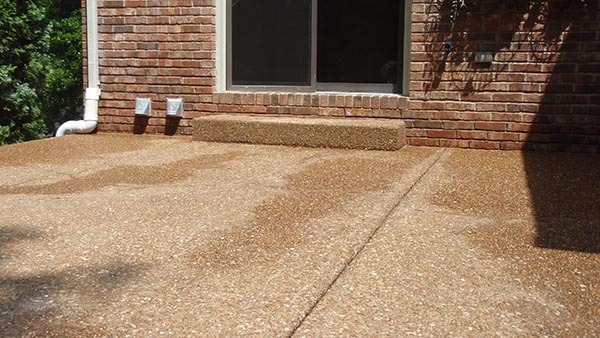 Learn more about how our concrete leveling service works, and contact us to see if it could be a good match for your home foundation repair. Yet another aspect that makes our foundation repair and concrete leveling services affordable is our free quote option — get yours today. Going into the project, you’ll have a solid estimate of how much it will cost you. We’ll cover this some more below, but if it’s foundation repair or concrete floor leveling, then our foundation and concrete contractors have you covered. 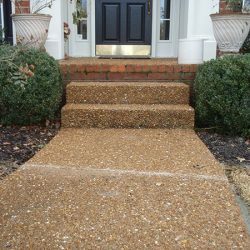 We can help with downspout extensions, floor supports, and bowed walls, along with garage floors, patios, stairs, pool decks, and utility pads. You should feel safe and comfortable in your home, and cracked concrete, foundation cracks, leaky basements, and other problems don’t ensure your safety. Work with our concrete contractors to improve the appearance and safety of these foundation problems instead. What is your home in need of? 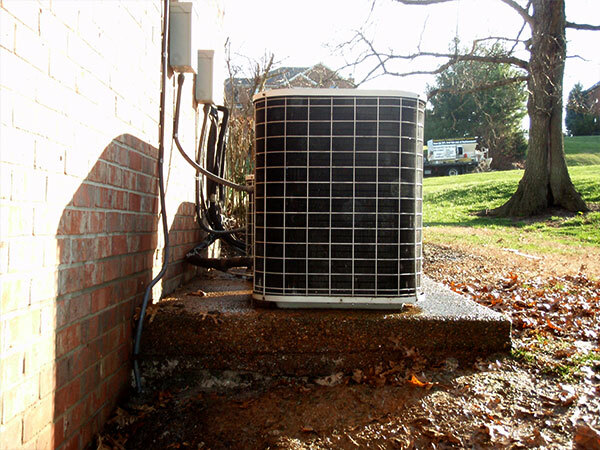 Go ahead and contact us today for a free quote to see if we can take care of it for you. With our experience, service area, reputation, costs, and services, you truly can’t go wrong — A-1 Concrete Leveling and Foundation Repair is the company for you. 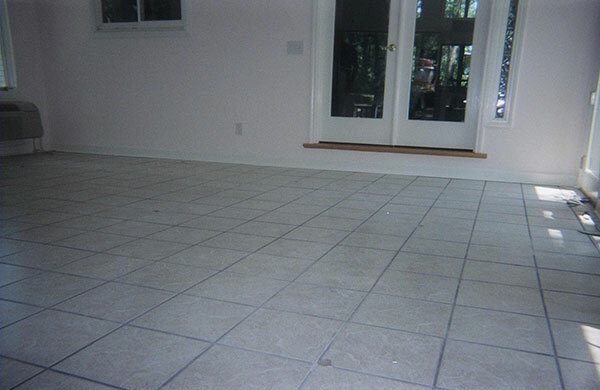 Now, we’ll go more in-depth into some of the foundation repair and concrete leveling services we can provide. Contact us today with any questions. We believe most great ideas are, at their core, incredibly simple. In 1982, Grover Miller had one of those great ideas. He had spent years in the industrial concrete industry, lifting airline runways, dams, and highways. He couldn’t help but notice how inefficient the process was. Crews needed to tear up old concrete, haul it away, and pour new concrete. The process was cumbersome, time-consuming, and costly. Miller headed to his barn where he took time creating a design, adding parts, and perfecting a process. Ultimately, he created the patented process and technology that A-1 Concrete Leveling is founded on. More than 30 years later, our foundation repair company has become the nation’s largest leveler of concrete. We’ve leveled well over 1 million concrete slabs and been rated as the No. 1 concrete industry franchise by Entrepreneur magazine. We don’t believe in just working hard — we work smart. From our technology to our scheduling, this is apparent in every we do. We believe in providing our customers with superior service, technology, and customer service. On top of this, for all of our foundation repair services and concrete leveling services, you’ll enjoy this at a price that’s fair and reasonable. We pride ourselves on being totally honest and having detailed communication with our customers. From your free initial quote to your final invoice, you’ll have a clear understanding of what we’re doing and why. Ultimately, it’s all in service to a great idea that was birthed in a humble barn. We’re proud to be part of that idea, and we’re even prouder to serve our customers that live in and around the Nashville area. If you have questions, comments, or you’re ready to begin your next concrete leveling project, we’d love to hear from you. At A-1 Concrete Leveling and Foundation Repair in Nashville, there’s nothing we love more than a job well done. That’s why we are proud to offer a number of different foundation repair services and concrete leveling options that we think you will find incredibly useful. From foundation repair to floor supports, we are happy to provide our clients with the type of work you need in order to make sure your homes and businesses are safe once again. 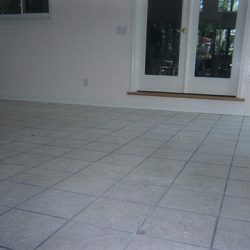 Bowed or leaning walls might certainly be a cause for alarm, but when you put your trust in our team of concrete contractors and foundation contractors, we can make quick work of the situation and treat the problem rather than the symptom, ensuring that you can use your space in a way that is safe. 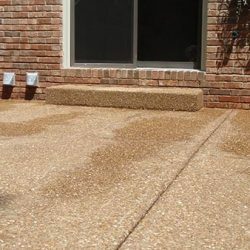 Our concrete repair services allow us to level and repair garage floors, concrete porches and patios, concrete or brick steps, pool decks, or anything else you need to make your home feel like a million bucks. At the end of the day, we believe that your home should look and feel the way you want it to. It’s where you go to recharge after a long day of work, and there’s nothing we love more than helping to make sure that you can enjoy your space for many years to come. All it takes is a look at our testimonials to see that we go above and beyond to make sure that work is completed quickly, efficiently, and correctly. Be sure to also check out our before and after gallery to see what type of work we’re capable of doing for your Nashville home. From structural repair of foundations, walls, and floors to waterproofing to minor grading and excavations, you can count on us to get the job done the right way. 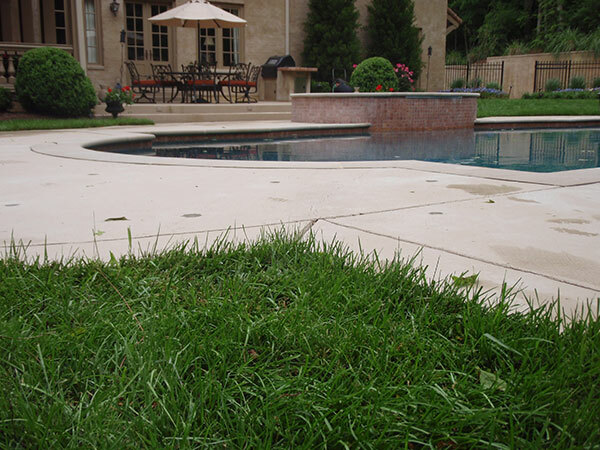 We provide fast, professional, and courteous service that saves up to 80 percent over replacing your concrete. 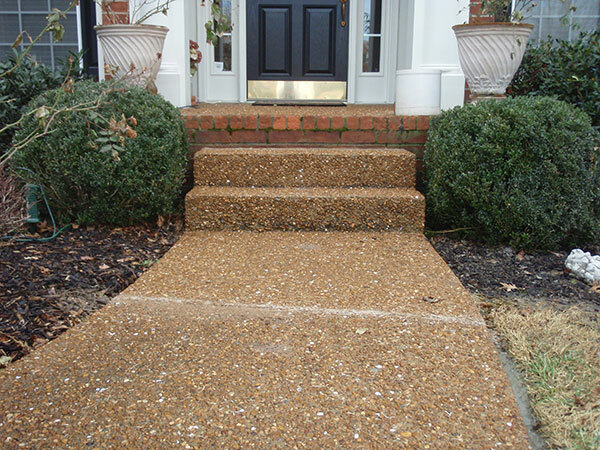 If you’re in need of concrete leveling or foundation repair, look no further than A-1 Concrete Leveling and Foundation Repair of Nashville.